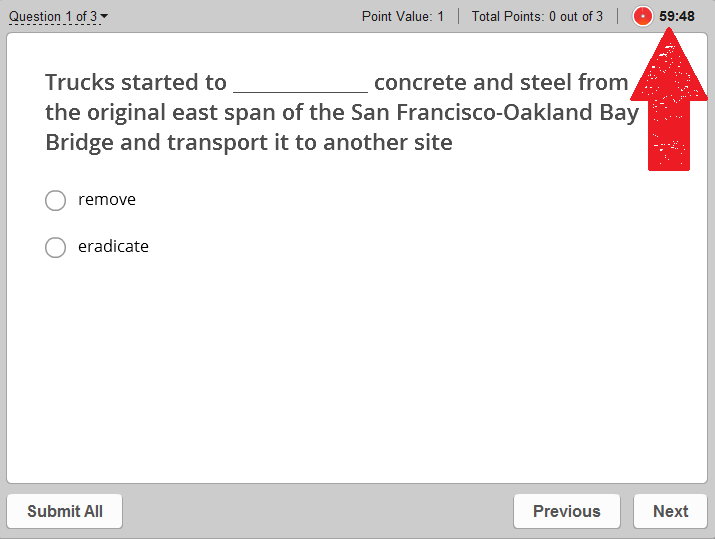 This site will host files to be used during your End of Year Multiple Choice examinations. Please follow all directions as given by your invigilator and read all on screen instructions. The time remaining is shown the clock at the top right of your screen. 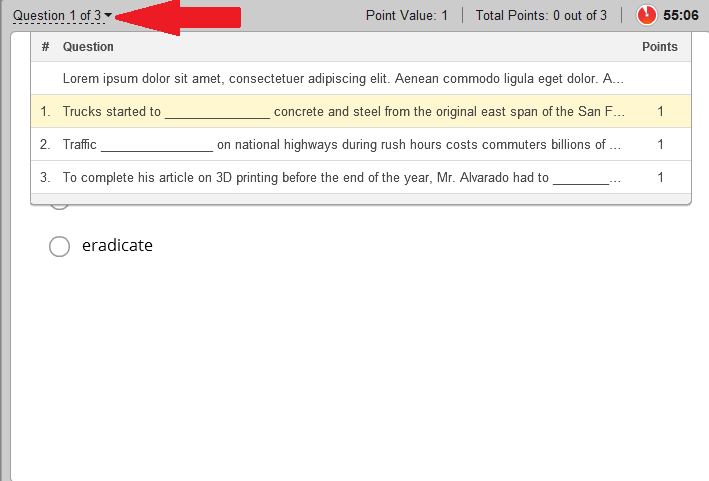 You can navigate to a specific question by using the drop down box on the top left of the screen as shown by the red arrow. 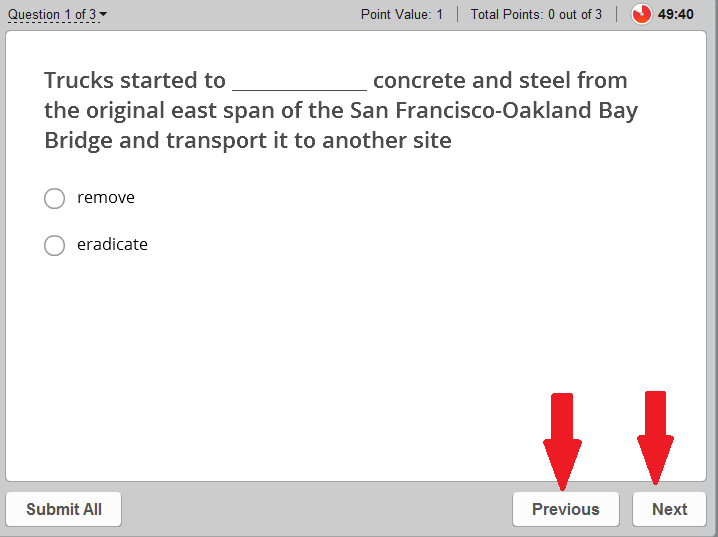 You can navigate to the next question by selecting next or go back to the previous question by selecting previous as shown by the red arrows. You can enlarge an image by scrolling over it and clicking the image.